Destroys airborne organic allergens, mold, virus, and other microorganisms. European technology, present in 20 countries. 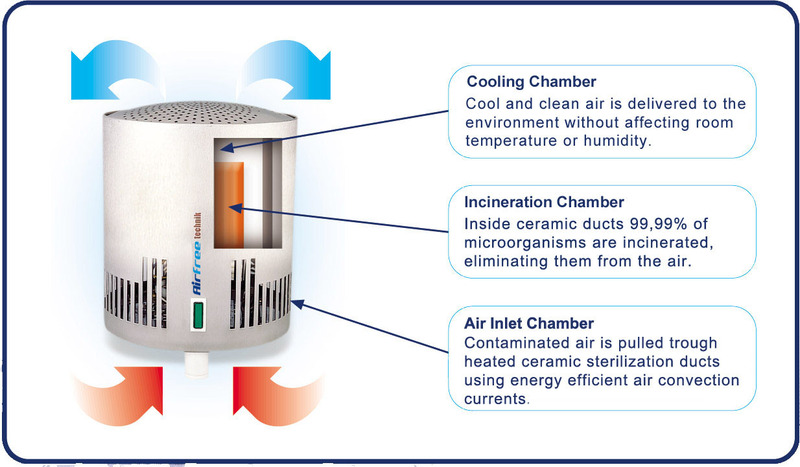 Air convection drags contaminated air into the AirFree patented sterilizing ceramic core where 99.99% of all microorganisms are destroyed. Sterilized air is then released into the environment.